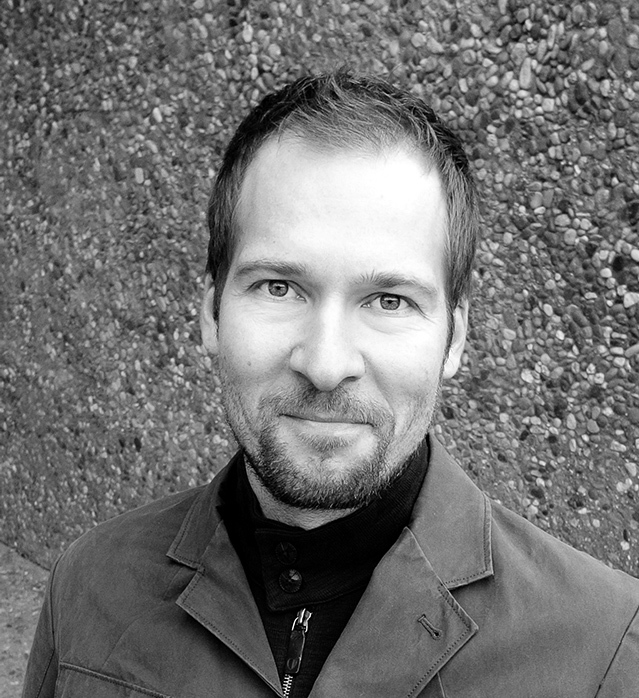 Philipp leads a multidisciplinary creative team responsible for defining next generation aircraft interiors, and shaping the future of travel. It’s no secret that professional sports franchises and college sports teams make significant capital investments in players. The six biggest-spending MLB clubs’ opening-day rosters have combined salaries of more than $1 billion USD. In the NFL, eleven teams will spend more than $15 million this upcoming season—on just their starting quarterback. These teams also spend big on their home facilities. The Los Angeles Clippers opened a $60 million practice facility in 2008. The Oregon Ducks completed a $68 million upgrade to their facility in 2013. And the Dallas Cowboys will soon follow up their $1.3 billion AT&T Stadium (which is actually owned by the city of Arlington) with another tax-subsidized practice facility in nearby Frisco, Texas, for $115 million. These investments in wages and facilities are the team owners’ response to an increasingly competitive race to attract the best players and get the best performance out of those players. But something obvious is missing in the protection of a their most valuable asset: how teams travel. This is surprising, given that teams play just half their regular season games at home. As any sports fan knows, “home-field advantage” is significant. But studies prove that home-field advantage is actually a lot less about the effects of raucous crowds and a lot more about the negative effects of travel, which create an “away disadvantage.” A 2008 study conducted by the Martha Jefferson Hospital Sleep Medicine Center showed that Major League Baseball teams traveling to game sites three time zones away lose 60% of those games. German researchers in 2002 confirmed that motor function measurably deteriorated in athletes after air travel and then lingered for roughly the same number of days as the number of time zones crossed. That’s bad news if you’re an athlete traveling from the West Coast to the East Coast on a Friday for a Sunday game. All of this data demonstrates that professional sports teams should also be investing in their “away” facilities. While it’s true that professional sports teams are not flying coach—or even business class—on commercial flights anymore, the charters they are using are simply roomier versions with dedicated staff. An aircraft that’s specifically designed to mitigate the away disadvantage is what’s missing from a professional sports team’s arsenal. 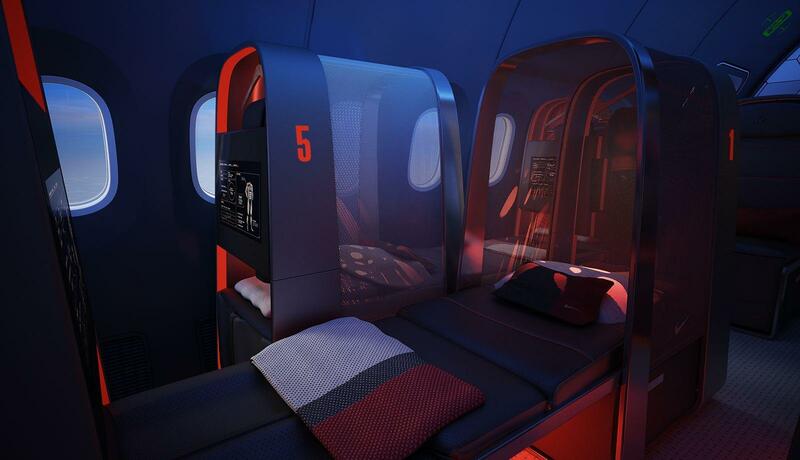 This idea inspired TEAGUE to develop a customized airplane interior focused on the unique needs and challenges of traveling athletes. As the leading design consultancy for aviation, we understood from the beginning that a partnership with an expert in athletic performance was key to a successful project. The NIKE design team was a natural fit for collaboration and idea exchange. In order to better understand the needs of athletes, we conducted interviews with team physicians, coaches, operations staff, and sleep specialists working with both collegiate and professional teams. We also worked with designers and training experts from NIKE to ensure that our understanding of how to design for athletes was on track. What did we find? The need is real. Crowded game schedules and travel by flight is a fact of life for professional athletes, but it is one that comes at a price: injuries and suboptimal performance. Recovery: equalizing the negative effects of air travel on the mind and body, and bringing the training room to 40,000 feet through in-flight biometrics and analysis to accelerate injury diagnosis and treatment. Circulation: fostering natural mobility and building in equipment that ensures optimal circulation and promotes healing. Sleep: designing ideal sleeping conditions for individuals and sleep strategies for entire teams to maximize physical readiness. Thinking: creating spaces for key mental activities, especially film study—enabling in-transit film review both before and after games. Imagine a West Coast basketball team heading to New York for a game. They are boarding a chartered flight. Today there is a lot riding on this game—anticipating fans, big money; multimillion-dollar contracts are at stake. Now, imagine your favorite center at 7-plus feet folding himself into the classic airplane seat, airplane noise, dehydrating air, standard airplane meals. Even on a chartered flight, the smallest inconveniences and discomforts of flying take their toll, leaving athletes drained and depleted by the time they arrive at their game. Typically, one day of acclimation is advised for every time zone crossed. A professional basketball schedule for teams based on the West Coast simply doesn’t afford that luxury. In the regular season, a team from the West Coast could take as many as 14 flights with a duration of 3 hours or longer. It is at this 3-hour threshold where the negative impacts of flying start to take effect. Additionally, that same West Coast team might be scheduled to cross 3 time zones to play 4 games in 5 days. With a schedule like that, a team has to be able to prepare for and recover from games while flying. Recovery and performance are the reasons why professional sports are as much about what happens off the field as what happens on the field. In order for our traveling basketball team to remain competitive, real-time information management is critical. 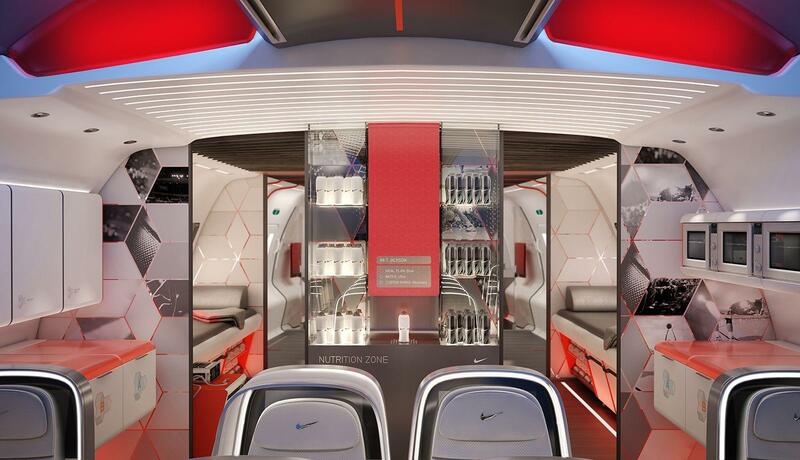 The Athlete’s Plane, the mobile “away” facility and data center is a system consisting of the airplane, connecting with smart apparel, accessories, and footwear. 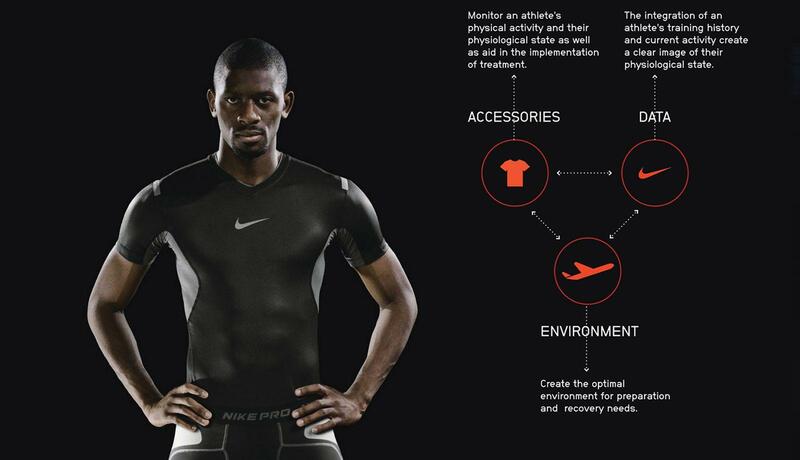 Through this integrated system, an individually customized recovery plan can be administered and athletic performance optimized. Key to an effective recovery plan are the monitoring of athletes, analyzing of collected data, and implementation of the best-suitable treatment method. 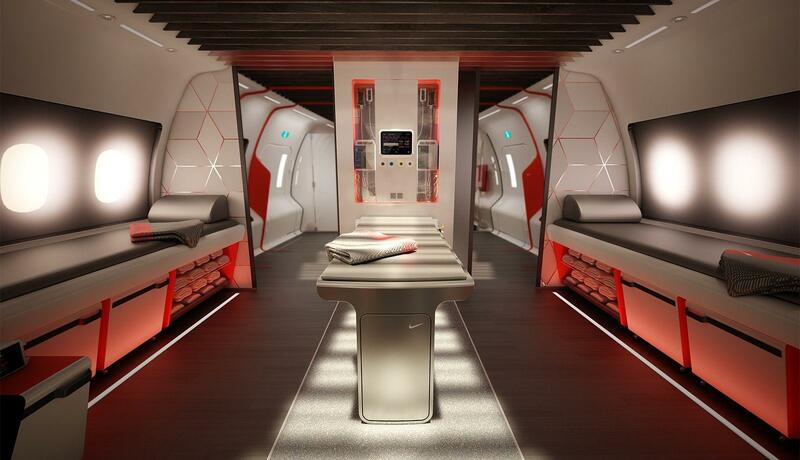 A big opportunity in the design of the airplane interior is the proper zoning of spaces in order to cater to the unique needs of athletes, coaches, and support staff. Factors we pay particular attention to include foot traffic, noise and light disturbances, climate control, privacy, and social habits. The Athlete’s Plane—a sky-high, pre- and post-game training and treatment facility—gives our basketball team the competitive edge they need to succeed when it counts most: traveling to and from games.